In addition to acne, many other temporary skin conditions affect millions of Americans each year. Contact dermatitis, for instance, is one of the most common occupational illnesses. According to Centers for Disease Control and Prevention (CDC), it results in over $1 billion in treatment costs and lost productivity annually. Contact dermatitis is often caused by contact with chemicals or other irritating materials. It’s typically treatable with topical creams and avoidance of the irritant. Depending on whether the condition is the result of contact with an irritant or an allergy, treatment and prevention strategies will differ. 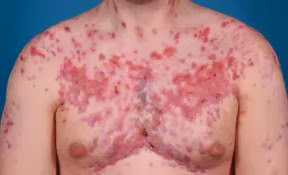 Other temporary skin conditions include disorders as common as small and rough bumps on the arms and thighs (keratosis pilaris) and as rare as acute painful lesions on the arms, face, and neck accompanied by fever (neutrophilic dermatosis). Although they have significantly different manifestations they can both cause embarrassment and significant treatment expenditures. Most permanent skin conditions result from a genetic trait that predisposes an individual to the development of the disorder. Some are present from birth, while others appear suddenly later in life. Still others only appear after an illness weakens the individual’s immune system. Examples of chronic skin conditions include rosacea, psoriasis, and vitiligo. Although some permanent skin disorders have effective treatments that enable extended periods of remission, others are incurable and always active. Children can get many of the same skin problems as adults. Infants and toddlers are also at risk for diaper-related skin problems. Because of their exposure to other children and to germs, kids may also experience skin problems not commonly had by adults. Although many childhood skin problems disappear with age, children can also inherit skin disorders that are genetic and permanent. Children are more likely than adults to get rashes or hives in response to food or environmental allergens. They are also more likely than adults to experience childhood illnesses like chickenpox or measles. In most cases, childhood skin disorders that are temporary can be treated with topical creams, tepid baths, or condition-specific drugs. 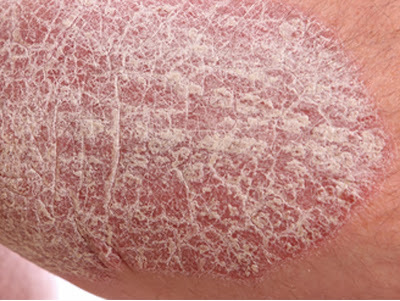 Psoriasis is a common skin disorder that produces thick red plaques covered with silvery scales. Although acne remains largely a curse of adolescence, about 20% of all cases occur in adults. 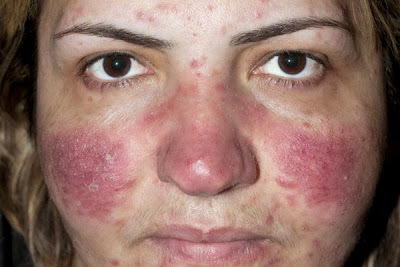 Rosacea is a common disorder that mainly affects skin on the face. It causes redness on the nose, chin, cheeks, and forehead.